I knitted up this super quick hat this afternoon. It's actually the Carrie pattern from an old Rowan Big Wool pattern book. I had originally made this hat years and years ago and it was one of my favorites. I had spilled something on it and in the process of trying to clean it, it ended up shrinking just a tiny bit–but enough that now it doesn't cover my ears. I love this pattern and wanted to make another version. 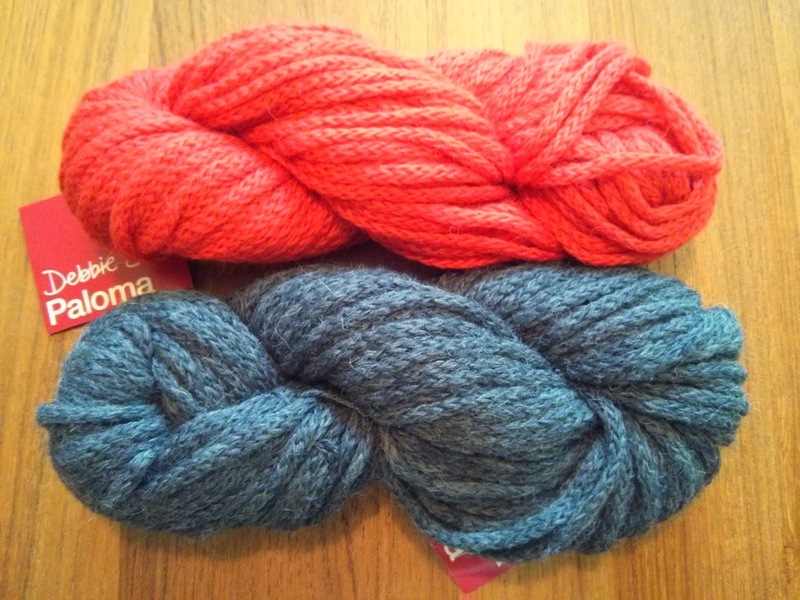 I ended up choosing some super soft Debbie Bliss Paloma yarn, which is a lofty chainette made from a blend of baby alpaca and merino. 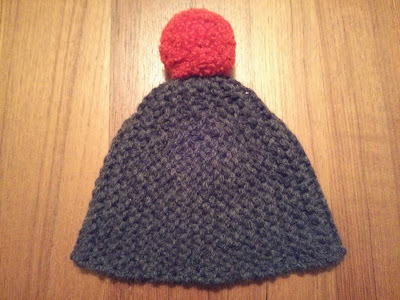 It's a unique hat because it's knit from side to side, which ends up as a vertical stitch pattern. It's very cozy and warm and I love the red pompom too.